Great news Lah-Lah fans, the stars of ABC Kids' hit show Lah Lah's Adventures will perform live on stage across Melbourne and Victoria this April. The Sing it Loud! tour is set to be the biggest musical show yet, celebrating SONY music's release of the Lah-Lah Sing It Loud!album of the same name. Get ready for some stripy sock entertainment with Lah Lah and her beautiful vocals, Mister Saxophone, Squeezy Sneezy on the piano accordion, Tom Tom on drums, Buzz the Bandleader and Lola the Dancing Double Bass. 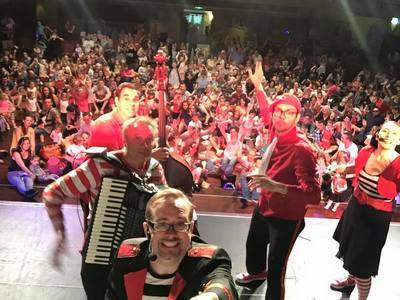 Lah-Lah's live show introduces children to the delights of big band music, delivered in catchy tunes that get the whole family grooving. If you haven't seen Lah-Lah live, don't miss the Lah-Lah Sing It Loud! bonanza, coming to a theatres across the city. Stay back after the show and your little people might just get a chance to meet the band in person. After the tour kicks off in NSW on 30 March, the crew will travel all around Australia. 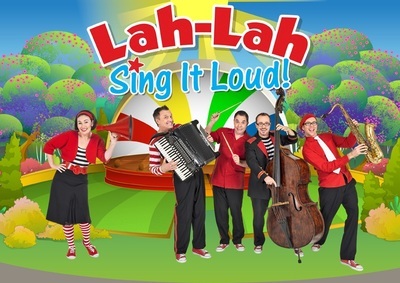 Lah-Lah and the Big Live Band will perform in Wodonga on 31 March, Bendigo on 1 April and Ballarat on 2 April 2016. In an exclusive KidTown Melbourne promotion, we have a double pass to giveaway to one KidTown Melbourne reader. The lucky winner will be able to pick from one of the above locations. To enter, simply tell us which Lah-Lah song is your favourite and why. Email kidtownmelbourne (@) gmail.com. The winner will be contacted by email on 15 February 2016.